I had an epiphany the other day while I was down a spiral of pins. I had hit a jackpot, “Celebrities I love,” board and went a little crazy. Next thing I know I received a text from one of my closest guy friends, Danny. He was at his wits-end with my pins. He told me I had to stop posting “dudes” because they were taking over his feed. Danny’s comment about my pins got me thinking. How many guy followers do I have, and what do they think of my pins (especially the girly ones)? Well out of 266 followers a little over 20 0f them are men. To look more widespread: Jeremy Cabalona did a Mashable article in April discussing how Pinterest demographics have changed. In honor of Thursday being Valentine’s Day, I decided to interview two of my love stricken male Pinterest followers. I wanted to learn how/if Pinterest affects their relationships, who they follow and what they think of boards such as Future Wedding, etc. Tune in Thursday to see their answers. Stalking . . . not just for the crazies anymore. Admit it! I am sure most of you have stalked friends (or maybe strangers) on Facebook before. 1. Job Hunting: First of all if you aren’t on LinkedIn, take a break from this post and sign up! LinkedIn is a fantastic way to “stalk” your way to interview or application prep. What do I mean by this? Let’s go over some do’s and don’ts of LinkedIn. Do: Connect with people you actually know by sending out a PERSONALIZED invitation. Don’t: Connect with people you don’t know by claiming you were friends. Do: Follow a company you are interested in working for. Familiarize yourself with the people who work there. Find commonalities. Don’t: Creep someone out by memorizing their profile. Do: Find people who link you with a company to get introduced from someone you know. Don’t: [Repeat] Connect with people you don’t know by claiming you were friends. Do: Search for jobs on LinkedIn. Don’t: Just search for jobs on LinkedIn. Most jobs posted on LinkedIn will also be posted on the company’s career site. Be sure you compare the two and make sure the application process is the same. In doubt – apply on the company’s site. Do: keep an updated profile with job history, recommendations, skills etc. Don’t: Treat your LinkedIn profile like your Facebook profile! 2. Pitching, Client Meetings, Etc. As an entry-level employee you will most likely be required to write-up a background, research a potential client, create a media list, etc. All of those tasks will require you to use strategic research skills. Well if you were able to find out that Tina’s ex-boyfriend’s brother is divorced on Facebook, you can research people too! Let’s say your manager asks you to look up someone’s contact information. First if you have a resource such as cision, get the contact information from there. Second, check the person’s company site to verify or find contact information. The important thing is to think beyond the initial ask. Will my manager want to contact the person for a meeting, for a pitch, as a potential new client? When you present the information, let your manager know the additional information. Just as Tina was shocked you knew her ex-boyfriend’s brother was divorced, your manager will be shocked you took the initiative. *Additional tip for tracking down contact information: Don’t give up easily. Call the administrative assistant to get a phone number or email. You can check what contact information other people from the company have and compare. Check LinkedIn or a personal blog for a contact. Try, try again. I do know that research is a skill that needs to be developed. But isn’t it nice to know you have some foundations to develop that skill already? Do you have any research tips to add? Any Facebook stalking skill you use at work? 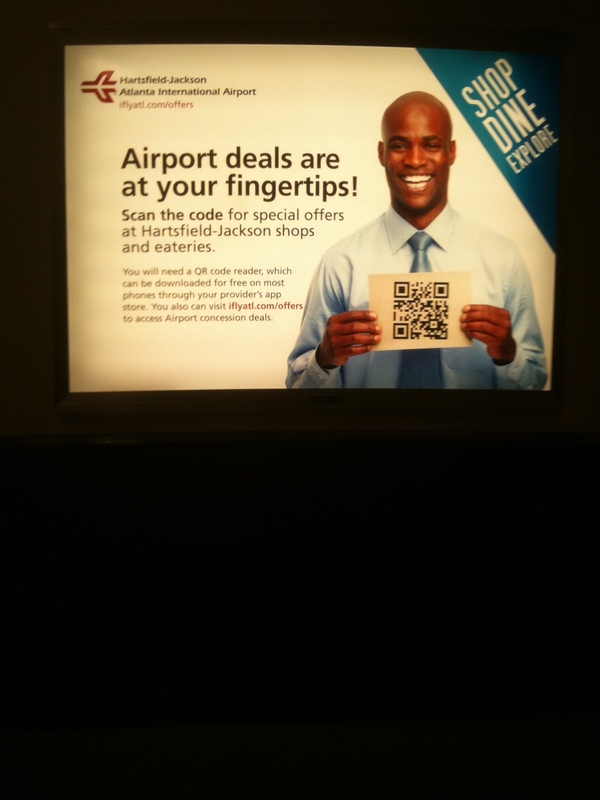 I promise once you understand what a QR code (quick response code) is, then you will find them everywhere. Professionals in many fields, friends, family members and even tattoo artists have been jumping on the QR code train. Why? Because they are applicable to almost everything, and they are easy to use. All you need is a smart phone and presto: You are connected to whatever the QR code holds including videos, pictures, text, pay pal accounts, phone numbers, hyperlinks and so much more. Still not convinced? 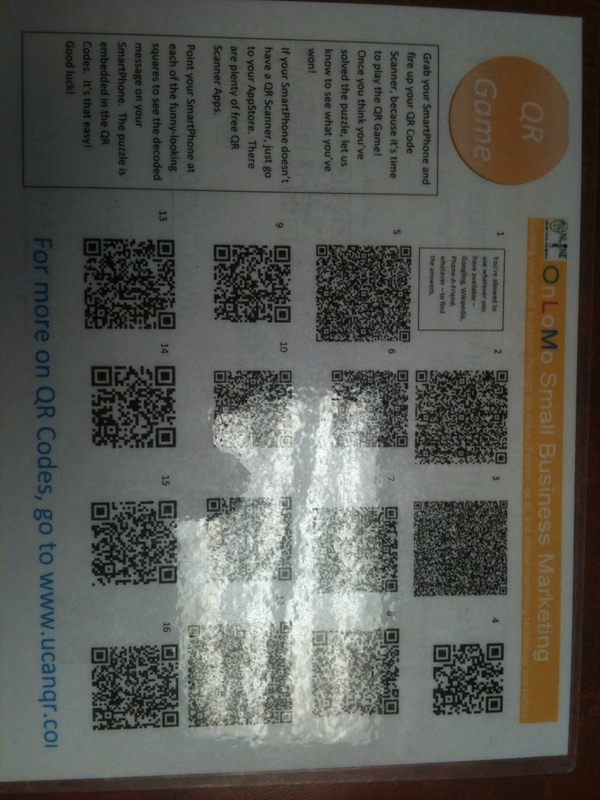 Check out QR codes I have found. Social networking sites have redefined the way businesses and organizations advertise, market products and engage with customers. So it was only a matter of time before those businesses and organizations tried to redefine social networking sites and social media for their own benefit. Here are three of the most recent ad. campaigns that have tried to put a spin on social networking. This one is my favorites. Their play on a campsite and a social networking site was genius. I like the concept. I would love to get a text that someone bought me a soda. The only problem is should we really be plugging our information into a vending machine? Only time will tell whether or not these vending machines are successful. While this advertisement does not come out and say that they are putting a twist on social networking, it is still obvious. Forget texting, calling, tweeting or creating a Facebook event. Go ahead and write messages on the bottle. It is a good thought, but I doubt it will be much of a hit. However, the bottle will probably boost sales enough at the beginning that the Bud Light marketers will consider the write-on label a success. What do you think? 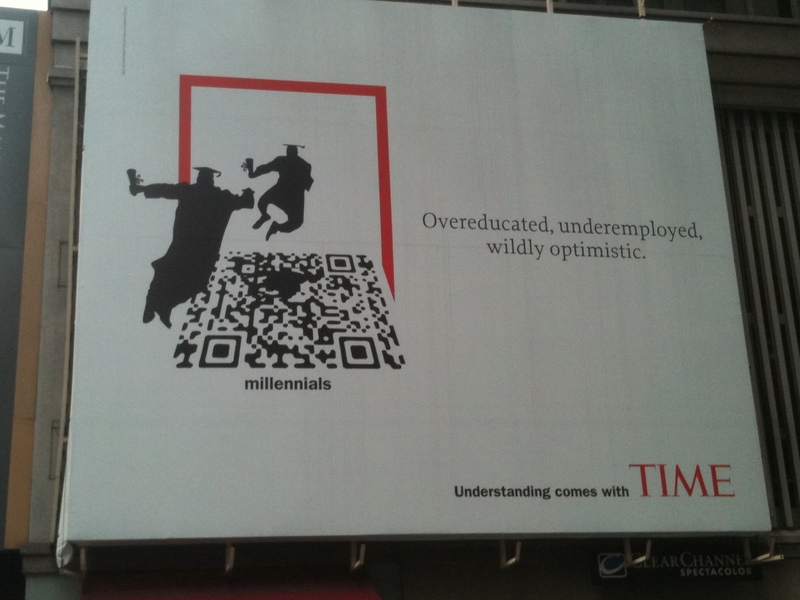 Have you seen any advertising campaigns that have put a spin on the social networking we use today? Tweeting during surgery could change health care. But is is a good or bad thing? First of all everything health care professionals do will be announced to the public if they tweet during surgery. This means that every decisions can be scrutinized. This also means that suggestions and advice can be given instantaneously. But will this affect how effectively they work? Will the incoming tweets be a distraction? Will health care professionals be too nervous to make sound decisions? Looking on the bright side patients can take comfort knowing that their team of health care professionals will grow by the thousands. There will no longer be only one surgeon. There will be one surgeon with thousands who can tweet advice in minutes. The scariest part about all this is privacy. Surgery is dangerous and risky. So why would anyone allow their surgeons to tweet out the process. What if something goes wrong? Do the family members worried in the waiting room really want to read a play-by-play of tweets while their loved one struggles for life on a table? Grey’s Anatomy has thrown out dramatic twists and turns on the show for years. Tweeting surgery may just be another one of their dramatized ideas. But this idea can and might already be happening. Do you know of any health care professionals who tweet out their procedures? Do you think that this will liberate patients from the secret lives of health care professionals? I guess only time can tell what will happen if this trend catches on. campaign starts locally.” Pepper currently works as the Director of Public Relations and Social Media at Palisade Systems, but he also owns POP! Public Relations. Pepper was not afraid to be in the first wave of PR pros to accept integrating social media into the mix. His award-winning blog, POP! PR Jots, and his participation in communities such as BlogHer prove that he is not only credible but passionate for the field. With all his experience, Pepper has some strong opinions about PR and social media. I hope you all enjoy and learn from them as much as I have. Q1: Looking back at your experience so far in PR, what inspired you to start out in the field? A1: I fell into public relations – I studied philosophy at the University and wrote for the college paper as well as running student government campaigns. During that time I was helping a friend out on a PR campaign and he suggested I go into public relations. And the big part was the ability to talk to people, get them to relate and write well. Plus, working on the breast cancer stamp. Q2: You have had experience working with huge companies such as Cisco and General Motors, but you also have worked local PR jobs. In your opinion, would you rather work on the larger PR projects or the local “grass roots efforts” and why? A2: Both have their benefits, and, of course their downsides. Working on grassroots efforts, there are greater chances to get to do bigger work and more responsibilities, while the bigger accounts have bigger budgets and more opportunities to learn how big companies work in PR and social media. Right now, I like working on the large corporations (while I still do small companies and grassroots outreach). The bigger the corporation, the bigger the project, the bigger the budget – and the bigger the idea. But like I noted, both have their pluses and minuses. Q3: You were ahead of the game when social media entered the playing field. How did you get a jump-start with social media and what was the most difficult part about the transition? A3: I’ve always been somewhat a tech geek, so like different and new technologies out there. Plus being in San Francisco during the launch of most of the stuff gave me the opportunity to meet many of the developing companies at events and try out the tech as an early adopter (I have a whole blog post on it). But a big part of it was working on Kodak and doing outreach to influencer sites (eg, DPReview, Steves-Digicams, Imaging-Resource) as well as chat groups on the topic on Usenet. At the end of the day, though, it’s about community relations, whether it’s online or offline (or in real life). So I just always put that to use in PR and social media: finding the audience that might be interested in what I’m working on, and letting them know about it. Q4: Many college students, including myself, are having to adapt their social media styles to a more professional audience. Do you have any tips for how students can stand out to PR professionals using social media? A4: First thing is to network. But another key part – and probably the most important – is to know what you don’t know. Too many students walk in thinking they’re the end-all, be-all in social media without realizing that just because they’re the “digital generation” doesn’t translate into actually understanding how the tools work in a corporate environment, or how to design a plan with strategies, tactics and outcomes that best fit what the client wants AND needs. But a key thing to take-away is that everything (or almost everything) is public. If you are going to friend people on Facebook that are potential bosses or colleagues, set up another group or setting that limits what they can see. And start building a portfolio with tangible results. This is an opportunity to highlight yourself with the usual internships, but also to show your value. Don’t let them treat you like an intern, but also strive to learn and listen. Q5: Many companies are still not using social media. I have had professors suggest that I offer myself as a social media intern to gain more experience. However, I have a difficult time pitching to these companies and non-profits what I can offer as a social media intern. What advice can you give about pitching a social media position to a company or non-profit that does not currently use social media or utilize it to its fullest potential? A5: Well, it’s hard pitching yourself as a social media expert to companies or non-profits as you are still in college. For internships, though, there are some opportunities but you need to present the pro’s (and con’s) of social media engagement, as well as conveying that this isn’t a one-off for them to do but something that needs to be done post-internship. Explain to the NPOs, etc that social media is an extension of their community relations or customer engagement and then showcase what is already being said in the space, on Twitter, in blogs. One of the hard things here is that I’m one of the people that says never to rely on an intern for social media programs. Too often, they do not know the intricacies of the business and are unable to answer the harder questions, or say no comment in a polished way. There’s a way to deflect and not answer that still seems like an answer. Q6: You speak at many different Universities giving advice to students. What is the most common problem you see with students and what advice do you offer to help fix the problem? A6: I think I addressed it above, but there is this whole “we’re the digital generation, we know better” attitude that needs to go away. 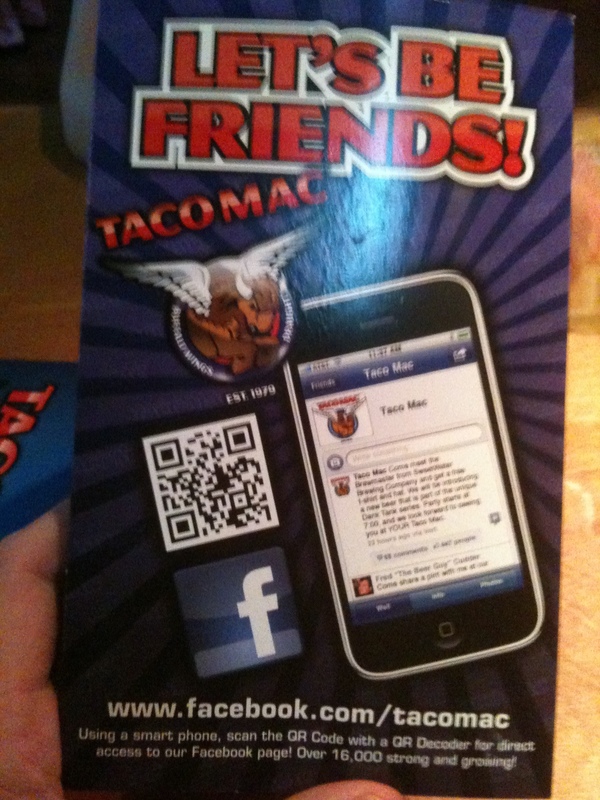 Being on Facebook or Twitter or Foursquare (or whatever) doesn’t mean that you understand how to use them in a campaign. It amazes me to see students lecturing long-time PR people (including me) on digital and how I don’t understand it because I’m too old. Um, okay, but ageism doesn’t work and the older people are what run the accounts. It’s a partnership – and we’re all here to learn. But too many young people think there’s nothing to learn or anyone they can learn from nowadays. Q7: You have had a lot of success with your blog, POP! PR Jots. What advice can you give to PR students who are trying to stand out with their own blog? A7: Write for yourself and a few friends. I’ve always written for a handful of people, friends that are also in the industry, so I don’t worry about audiences. If you write worrying about numbers and audience, it’s going to sound forced and trying too hard. But if you write for a few people, write in a way that they’ll be interested in and will read, you’ll come to a natural voice. Yes, I tend to chose more interesting topics, but I’m also writing for an audience that my equal. If I wrote for traffic, I’d write daily and write long drivel that says nothing. There are enough social media blogs that do that – and do it quite well – but I’d rather help change the industry. The other thing I see – a lot – is the “you write for me, I’ll write for you” sharing nowadays. It’s a way to grow traffic, find new audiences, but I don’t partake as I’d rather keep it on my own site. Another thing to look at is syndication. It’s a way to grow audiences. But key is having a natural, normal voice. Q8: Any extra comments or advice you have is greatly appreciated. A8: Advice: don’t be in such a rush. There is so much out there in public relations and social media that we all have to learn, that it takes time. And it’s about doing your time. We all start out at the bottom and work our way up. Yes, some faster than others. But it’s not a race. Relax, have some fun and just do good work and things should come to you. But, I’ve heard too many stories of students or junior people presenting themselves as experts, and then it blowing up in their faces with clients and agencies. Badly. Do I Really Have to Make my Facebook and Twitter Professional? I don’t know about you, but I am sick of people telling me to clean up my Facebook. I think it is clean. Am I supposed to wear a suit in every picture as if I were interviewing for a job? Should I get rid of some of my friends who have pages that are less than perfect? My own mother reads my Facebook, and she thinks it’s cute. So what is the big deal? How do I draw the line between a Facebook page I can be proud of and the pages people use as bad examples. On the other hand, my Twitter is professional. I use it as my own micro-blogging networking tool. I tell my friends that they need to clean up their tweets and profile. I complain about having to un-follow friends because of their constant use of profanity. The question is am I a hypocrite or just confused about the difference between the two social media sites? He said the conversation style on Twitter was that “you want to meet people and somehow make yourself known, stand out from the crowd, make an impression, self promote and make new connections. Twitter is like getting the podium and not everyone feels comfortable or knows how to stand comfortably in the spotlight.” Thornton even cut first time tweeters some slack because of the public speaking butterflies. Since both Facebook and Twitter use different conversation styles then they must have different audiences, right? Shipley helped me out with this one too. She said that they do have different audiences so “you have to tailor your messages to your audience accordingly.” This means that some messages can be used for both audiences. Shipley even found a way to connect her Twitter and Facebook, so the appropriate messages are instantly copied. However, you have to remember to be selective because not every tweet can be a post. Tweets use a different language with # (hash tags), @ (mentions), RT (retweets — not to be confused with RT Evans) and DM (direct message) that some people don’t understand. And not every post can be a tweet. Posts can often be too personal for the public audience of Twitter. Both of my pages reflect my personality. While I would like to graduate, and get a job one day, I do not constantly wear suits. Creativity in pictures is fine. But I need to make sure that my grandmother would be proud. My Facebook is for my friends and family. I keep it personal. I do not have this page attached to my other social media sites. However, I have to keep my posts and pictures clean. I caution everyone: nothing is private. My Twitter is professional. However, I have to understand that some people may use personal Twitter pages. Since Twitter is received by more of a mass audience, I feel as though it needs to be professional. So I will continue to follow professionals — and professional students of course. Enough about me, What do you think? Take this poll and comment. Go ahead challenge me or maybe agree with me.